I didn’t quite make five days of kiddie snacks this week, but I figured three days were better then none. 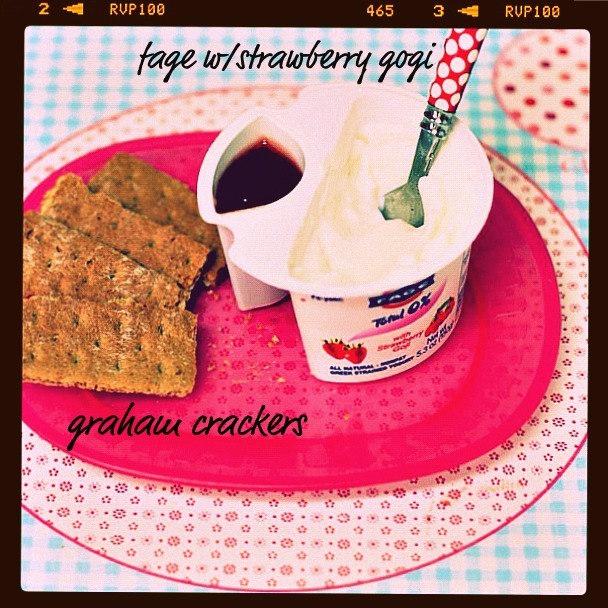 I was a little heavy on the graham crackers this week, but M didn’t seem to mind 🙂 If you are new to my kiddie snacks feature you can read all about it here. I’ve gotten great feedback so far. I’d love to hear what you feed your kids. yum – i’ll take those snacks for myself, thank you! Honestly, my husband is always looking for new snack ideas and I just sent him this link. I love these posts! I don’t have any kids but I’m happy to eat these for the ones I could have had. Is that allowed? Hummus and veggies are a big one here. They also love lentil chips with hummus. We do a lot of apples and peanut butter too. 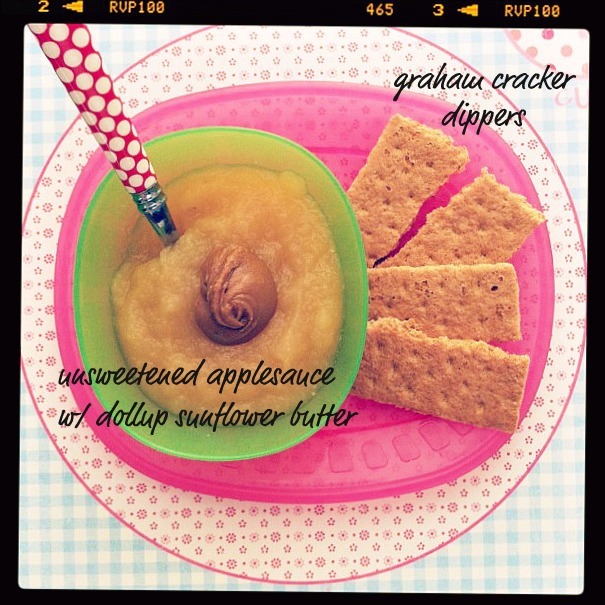 Love the applesauce with the Sunflower Butter idea!!! 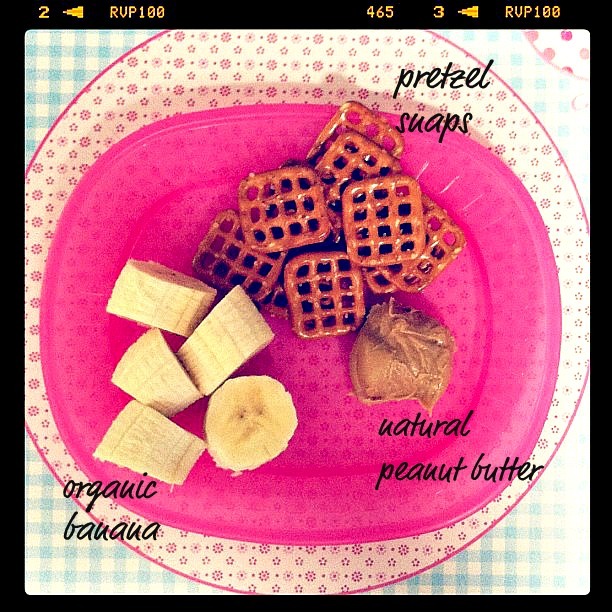 Thanks for posting the kids lunch and snack ideas. I’m wondering what kinds of things you normally have for lunch? I struggle with that, as after I make something for the kids I just either end up eating some of theirs or a peanut butter sandwich because I don’t want to go through the effort of making something myself. It gets old though! So I’m wondering what you do. Thanks!